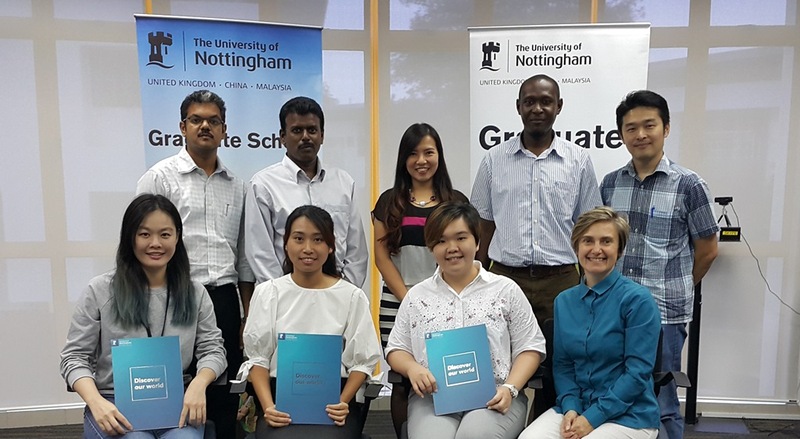 The University of Nottingham Postgraduate Prize Awards recognise accomplishments in research, publications, conferences and contribution to the postgraduate community. Students were nominated by their Schools for excellence across a number of areas. 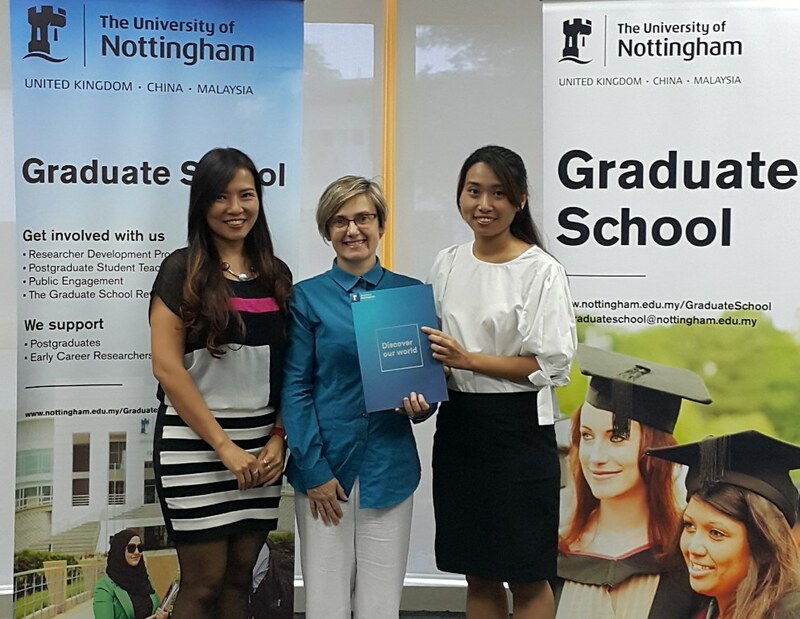 [From left] Professor Sandy Loh Hwei San, Professor Deborah Hall and Tham Shiau Ying. [From left] Dr Nishanth Chemmangattuvalappil, Professor Deborah Hall and Jecksin Ooi. 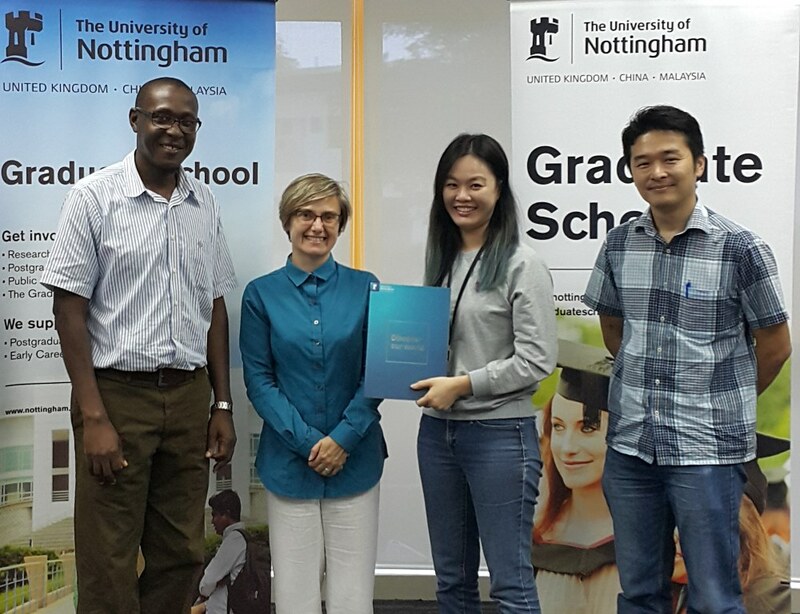 [From left] Professor Nashiru Billa, Professor Deborah Hall, Lee Shi Ting and Dr Lim Kuan Hon. The Graduate School would like to once again congratulate all the winners on their achievements and for receiving such prestigious awards! 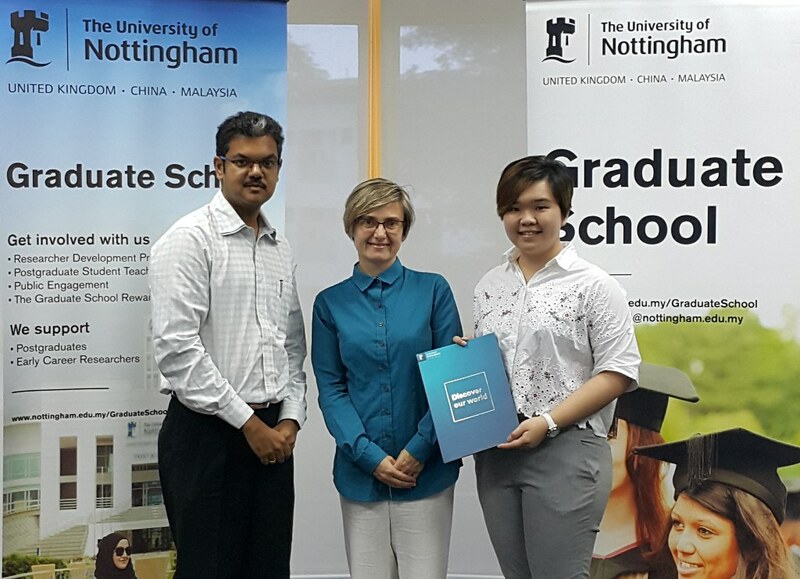 For more information, please email us at graduateschool@nottingham.edu.my.